Mobile Learning and Higher Education provides case studies of mobile learning in higher education settings to showcase how devices can transform learning at the undergraduate and graduate levels. With the rapid diffusion of networked technologies among the adult populations of many countries and the supersession of the once-ubiquitous lecture approach with active learner-centered teaching for deep understanding, mobile devices are increasingly used in higher education classrooms to offer unique and effective new approaches to teaching and learning. A cutting-edge research volume, this collection also provides a springboard for building better practices in higher education institutions. "Helen Crompton and John Traxler deserve our thanks for assembling Mobile Learning and Higher Education. 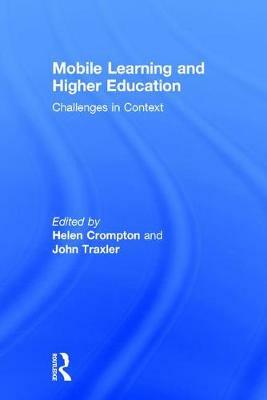 They have brought together a wonderfully rich mix of scholars who examine the varying dimensions of mobile learning, including the roles of devices in augmented reality, mobile-based navigation, mobile journalism, mobile social studies education, assessment and feedback, and more. The book will position readers to better understand the vast potential of mobile communication to transform and emancipate learning as mobile-rich classrooms become the norm." "Mobile devices are everywhere, except at the heart of higher education. This book demonstrates how smartphones and tablets, when combined with active and learner-centred pedagogies, have the potential to transform learning. It also highlights why universities must find new ways to engage with mobile and networked learners if they are to survive in global education."